What started off as gluten and preservative free condiments for family & friends turned into condiments available in Asia and New Zealand. With the help of her husband Harvey, both Harvey and Melanie started to develop a marketing and sales strategy to get her products on the shelf for others to enjoy. In 2010, Melanie entered some of her products into the prestigious “Sydney Royal Fine Food Show” competing against some of Australia’s best known producers and she walked away with 2 out of 3 awards. In 2011, she saw even further success with 5 out of 5 awards. - Lemon & Ginger Marmalade : Enjoy this tangy treat either loaded on toast at breakfast or as a sauce poured liberally over a steamed pudding. 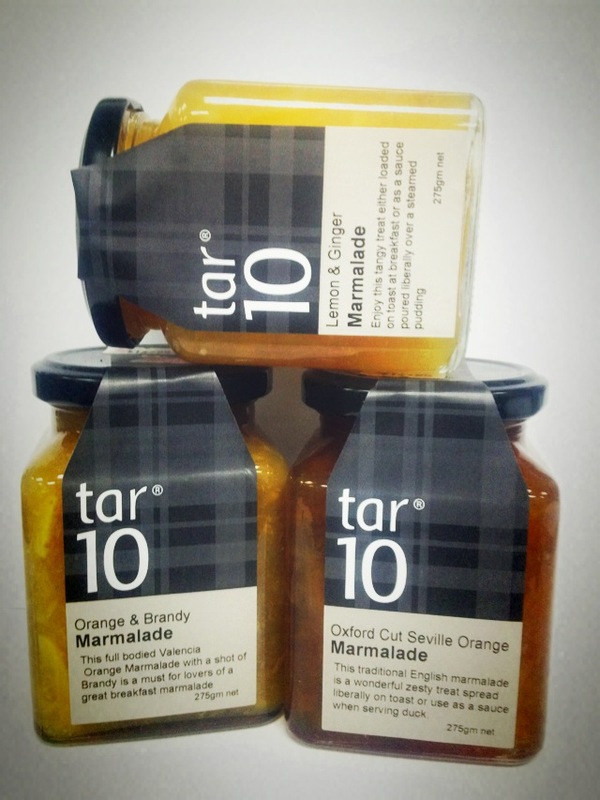 - Orange & Brandy Marmalade : This full bodied Valencia orange marmalade with a shot of brandy is a must for lovers of great breakfast marmalade.